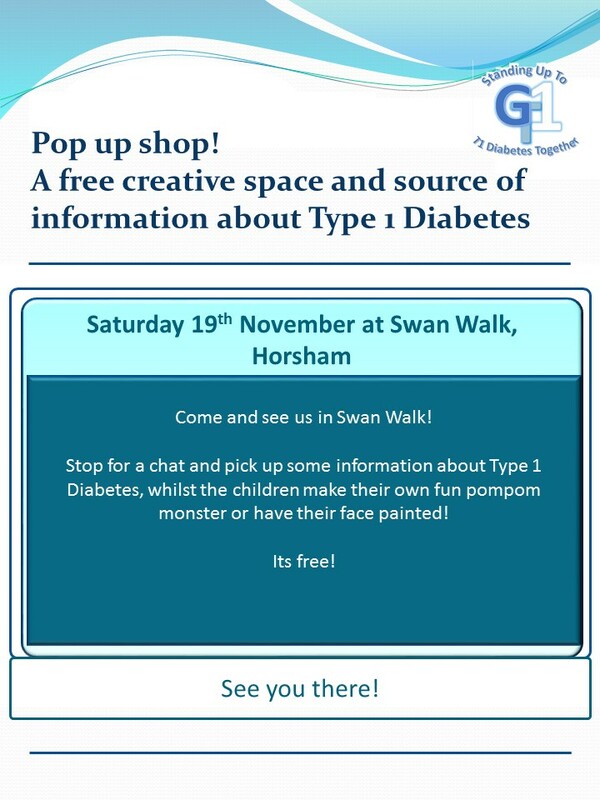 As part of GT1 celebrations of World Diabetes Day and the 125th birthday of Frederick Banting and his life saving insulin, we have a pop up unit in Swan Walk, for the day on Saturday 19th November. There will be some craft and facepainting for children, as well as information and insites available about the signs of T1D and life with T1D, as well as our lovely supportive group for children and their families. And it’s all free!! Please do come and find us!